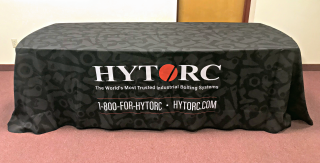 HYTORC Tradeshow Tablecloth - Rental HYTORC branded 8' tablecloth available to rent for use at trade shows. 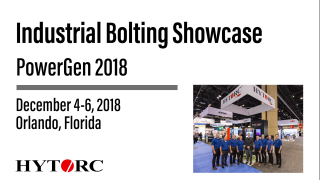 To place orders (rentals only) and inquiries, please email Betsy Tapp at btapp@hytorc.com. Quantities are limited so plan your order far in advance.